He’s going to die, so we should leave the city. I planned this trip… well, sort of. 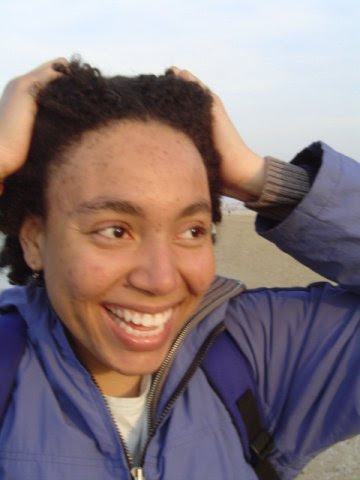 This was when I learned backpacking motto number one: things very rarely go as planned. We were supposed to stay in Rome for most of the trip. I wanted to see every square inch of the Italian capital and Vatican City. When we were finished with them, maybe we would move south to some little Italian town. Or we could just stay at the beach near Rome. The next day we ran through several churches and museums in and around St. Peter’s Square. It all happened so quickly that I didn’t have time to take in much of it. That night we caught a train to Naples. My guess is that the Pope died that night because there was a lot of chaos on the train. We tried to buy tickets, but the counters were closed. We boarded the train anyway because someone told us that we could buy our tickets on the train. Normally there is an official who comes by to check your ticket or sell you one. No one came by that night and we rode for free. Just laying in the middle of the road taking a photo. We didn’t actually do much in Naples. We planned to, but never got around to it. Other things just called out louder for our attention. First we went to Pompeii. It was very sad. There are many casts made from the bodies of victims. Looking at their very expressive body language you can see how afraid they were. There was one of a child who made him or herself into a ball. I could almost hear that kid crying. Going to the hot spring! For most of the vacation we were on Ischia or Capri, but mainly Ischia. 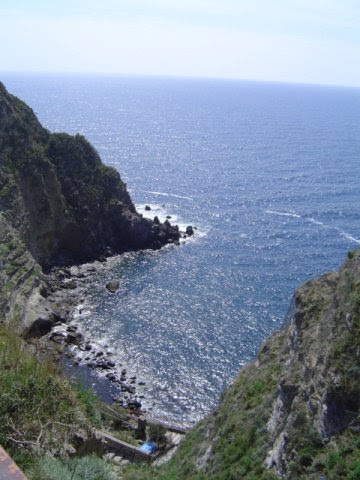 At Sorgeto beach on the island of Ischia there is a most wonderful, free hot spring. I soaked there for hours at a time. Water comes from a volcano and leaks out of earth boiling hot then it mixes with the ice cold water of the Tyrrhenian Sea. The big rocks at the beach can be used to make seats and to form a tub. Bathers move the rocks around to create higher or lower tub walls and let in more or less sea water. This adjusts the temperature of the natural tub. There was a restaurant nearby that sold overpriced food, but it had the only shade for miles. If you go, make sure to bring plenty of water, food, and maybe a beach umbrella. 2 more days in Italy! We bought our round trip tickets on Ryan Air. It’s a great airline for cheap flights around Europe. The trouble with this no-frills airline is that there are no guarantees. The day before our flight back to Manchester (well Liverpool, then we would take the train into Manchester) we spent the night at Ciampino Airport. We tried to stay in the arrival area because it had better seats, but it was closed off. No one would say why, but we figured that it had something to do with the Pope’s funeral. As we were moving over to the departure section my travel partner thought he saw John Kerry. At that time John Kerry was running for President of the US. I thought my friend was just being too wishful. Why would John Kerry be in a tiny run down airport like Ciampino? Later I found out that Ciampino was where all the heads of state flew into Rome for the Pope’s funeral. The following morning, when it was time to check-in, we were told that we wouldn’t make the flight. Clerk – Because it’s too far away. Clerk – You are at the wrong airport. Me – But this is the airport in which we arrived. Clerk – Yes, but that changed. Ciampino is closed for the next week. See the sign? He pointed to a small white board sign that listed several flights and stated that they are now leaving from some other airport. We had spent the night at the airport in the departure section and we never saw this sign. Me – How long has that sign been here? Clerk -I put it out 5 minutes ago. Me – Where is this new airport? He took out a little map of Italy and pointed to a city… on the other side of the country. 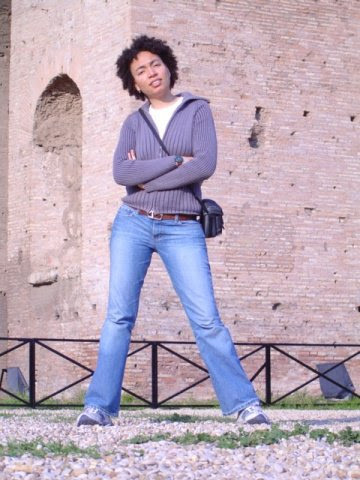 Me – That’s not in Rome! Clerk – No. 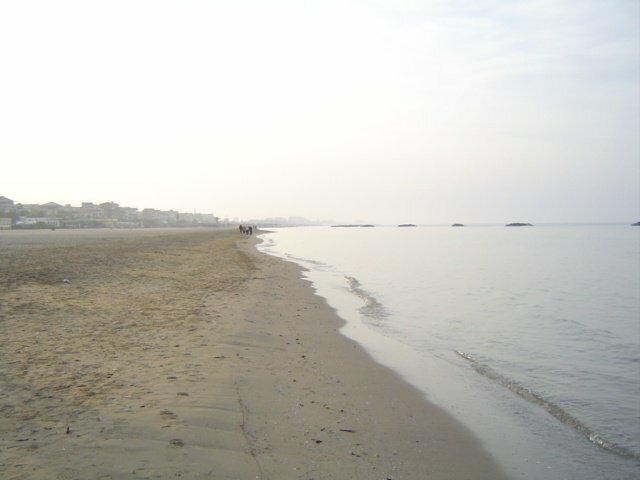 That’s Pescara. You’ll need to take the train. Me – So. I’ve missed my flight! How am I going to get back to England? I have class on Monday. I asked the man if I could at least get a refund on my flight so that maybe I could have some money to pay for another one. He told me that RyanAir only gives refunds for cancelled flights. Me – But the flight was cancelled! Clerk – No, ma’am. This flight was not cancelled. It was transferred. My friend and I asked to speak with the manager. We explained that we were at the airport since the evening before and there was no indication of the change. The manager, in his Italian fashion, said, “No problem. I’ll put you on tomorrow’s flight.” He printed out new flight confirmations for us and even gave us directions to find the train station. I was very mad until I got on the train and looked out the window. Italy is a very beautiful country and now I was going to be able to see the other side. Open every day except Christmas day and January 1st. 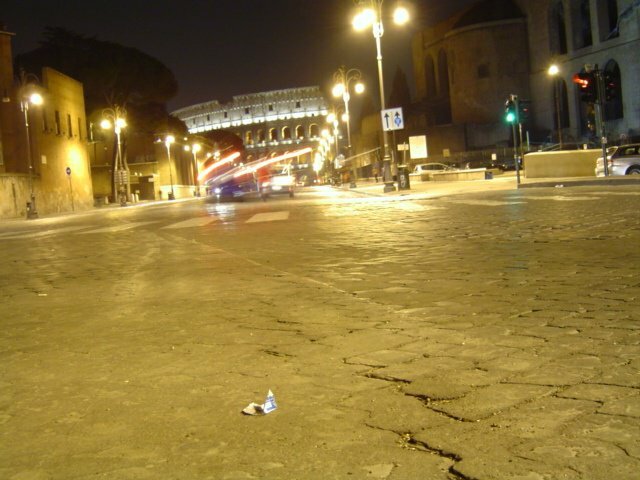 Once in Vatican City, everything is in walking distance. 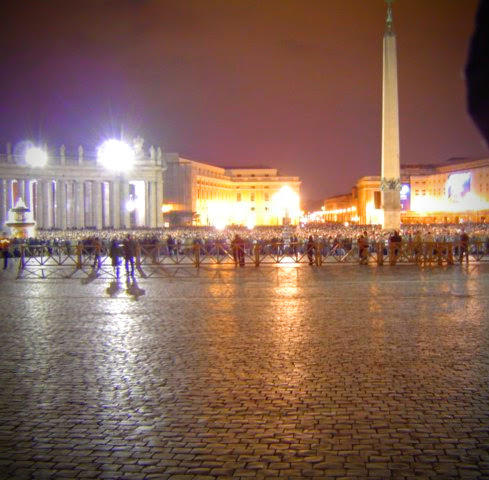 St. Peter’s Square is always available. Some of the churches and attractions in this city have a dress code. Naples is the city that we used to get to Pompeii, Ischia, and Capri. Take a train on the Circumvesuviana Napoli-Sorrento line to Pompei Scavi. If you are an EU citizen and you are under 18 or over 65 you can get in for free. Drink lots of water. It’s a lot of walking. There are many hot springs on this island. I went to the one called Sorgeto Hot Springs in Panza. Boiling hot water from the volcano mixes with the freezing water of the sea to make a very nice natural hot tub. To get there take a bus to Panza and follow the sign towards the beach. It’s about a 1km walk. There many steps that lead to the beach. The hot spring is free to use. Bring your own water and food. There is a restaurant there, but it doesn’t have a wide selection, it’s quite overpriced, and it’s not always open. I read somewhere that people sometimes bring potatoes and eggs to cook in the hot water. 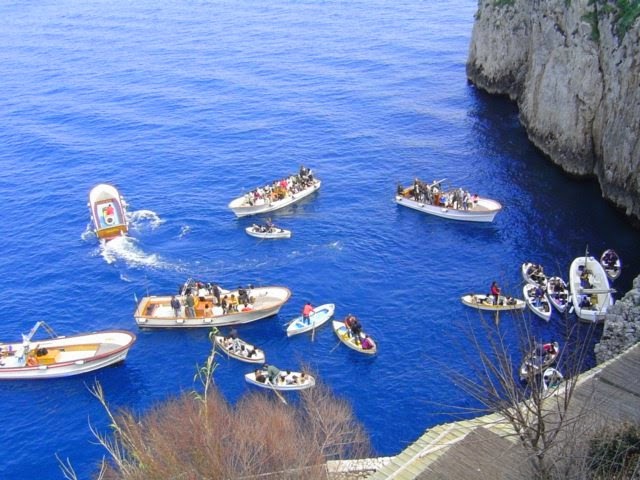 The Blue Grotto, though really beautiful, isn’t worth it if you pay too much. The whole thing will last about 5 minutes. The Chair Lift to the top of Monte Solaro is completely worth it. Even if you, like me, are afraid of heights the view is just too good to pass up! Every July Pescara holds an International Jazz Festival called Pescara Jazz.